Carly Rae Jepsen (born November 20, 1985) is a Juno-nominated singer/songwriter from Mission, British Columbia, Canada In the summer of 2007 she placed third in the fifth season of Canadian Idol. Her debut album Tug of War was released in Canada on September 30, 2008. An EP titled Curiosity was released on February 14, 2012. The lead single, Call Me Maybe, reached #1 in her native Canada and was certified double platinum. Jepsen was the first Canadian artist to reach the top of the digital chart since Justin Bieber in 2010 with Baby. Carly is currently touring on the Shout it Out World Tour as the opening act for the pop-rock trio Hanson. “Call Me Maybe” is a song recorded by Canadian singer-songwriter Carly Rae Jepsen for her EP Curiosity (2012). The song was written by Jepsen and Tavish Crowe as a folk song, but its genre was modified to pop following the production by Josh Ramsay. It was released as the lead single from the EP on September 20, 2011, through 604 Records. After Canadian pop singer Justin Bieber and his girlfriend actress/singer Selena Gomez tweeted about the song, it gained international attention. Jepsen was signed to Schoolboy Records, releasing her single in the United States through the label. 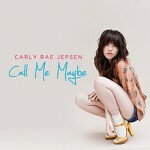 Musically, “Call Me Maybe” is an upbeat teen pop track that draws influences from dance-pop and disco. Lyrically, the track alludes to the inconvenience that a love at first sight brings to a girl who hopes for a call back from a crush. The song received generally positive reviews from contemporary critics, who praised its composition and clever lyrical content. “Call Me Maybe” has attained commercial success worldwide, reaching number one in Australia, Costa Rica, Czech Republic, Denmark, Finland, France, Hungary, Ireland, Italy, Luxembourg, New Zealand, Poland, Slovakia, Switzerland, the United Kingdom and the United States, while peaking inside the top three in Austria, Belgium (Flanders & Wallonia), Estonia, Germany, Israel, Netherlands, Norway, and Sweden. After reaching the top position in Canada, Jepsen became only the fifth Canadian artist to do so in her home country since 2007. In the United States, the track reached number one on the Billboard Hot 100 and the Pop Songs chart. The song is the first number one by a Canadian female artist on the Billboard Hot 100 chart since 2007′s “Girlfriend” by Avril Lavigne. With worldwide sales of over 7.5 million copies it is the second best selling single of 2012 only behind Gotye’s “Somebody That I Used to Know” which sold over 8.97 million copies, making “Call Me Maybe” one of the best-selling digital singles of all time.